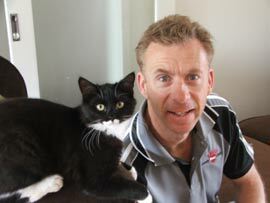 Lonely Pets Club is the only pet sitting body to offer a service to all of Metropolitan Melbourne. Servicing Doncaster East, Donvale, Blackburn, Blackburn North, Blackburn South, Forest Hill, Nunawading,Mitcham, Vermont, Vermont South, Burwood East, Brentford Square, Burwood Heights, Doncaster Heights, Laburnum. Hi, I'm Marina Butler and I am your local Lonely Pets Club franchisee. I started using Lonely Pets Club as a client and really loved the service and the fact that my pets were able to stay in the comfort of their home while I was away. When I found out that Lonely Pets Club was selling franchises, I thought this was a fantastic chance to move into a career looking after animals. Servicing Aspendale, Beaumaris, Bentleigh, Bentleigh East, Blackrock, Bonbeach, Braeside, Brighton, Brighton East, Chelsea, Cheltenam, Cromer, Dingley Village, Edithvale, Hampton, Heatherton, Highett, McKinnon, Mentone, Moorabbin, Moorabbin East, Mordialloc, Ormond, Parkvale and Sandringham, Springvale South, Waterways. We have lived in Bayside since 2005 and I also currently work as a Police Officer in the Bayside area. Servicing Hawksburn, Toorak, Armadale, Armadale North, Kooyong, Malvern, Caulfield East, Central Park, Darling, Malvern East, Glen Iris, Caulfield Junction, Caulfield North, Carnegie, Glen Huntly, Murrumbeena. 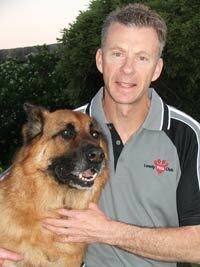 Hi, I'm Paul and I'm the Lonely Pets Club franchisee for the Bayside and Malvern areas. Servicing Balaclava, Caulfield, Elsternwick, Elwood, Gardenvale, St Kilda. 'If you are doing something you love you will never work another day in your life'! 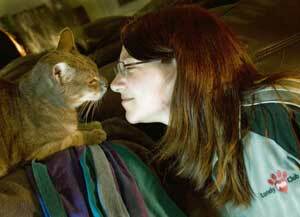 Hi, I'm Elizabeth Quinn, the owner of Lonely Pets Club Port Phillip. Together with my sister Debra, we were the first to buy a Lonely Pets Club Franchise, being the South Melbourne franchise, which was very exciting. We loved it so much, we ended up purchasing the Port Philip franchise as well! We share our home with Bono, Coco and Shalimar, our feline family. Servicing Albert Park, Docklands, Garden City, Melbourne, Middle Park, Port Melbourne, Prahran, South Melbourne, South Yarra, Southbank, West Melbourne, Windsor. 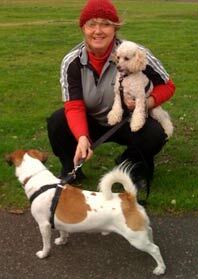 p>Hi, I'm Elizabeth Quinn, the Lonely Pets Club Franchisee for South Melbourne and the surrounding area. 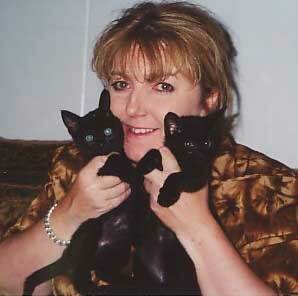 Together with my sister Debra, we were the first to buy a Lonely Pets Club Franchise, which was very exciting. We have enjoyed living in South Melbourne for many years, and share our home with Bono, Coco and Shalimar, our feline family. I have always been an animal lover, shared my life with either a cat or dog, and always wanted to be involved with animals. I am now living my dream and would love to walk your dogs and care for your pets.